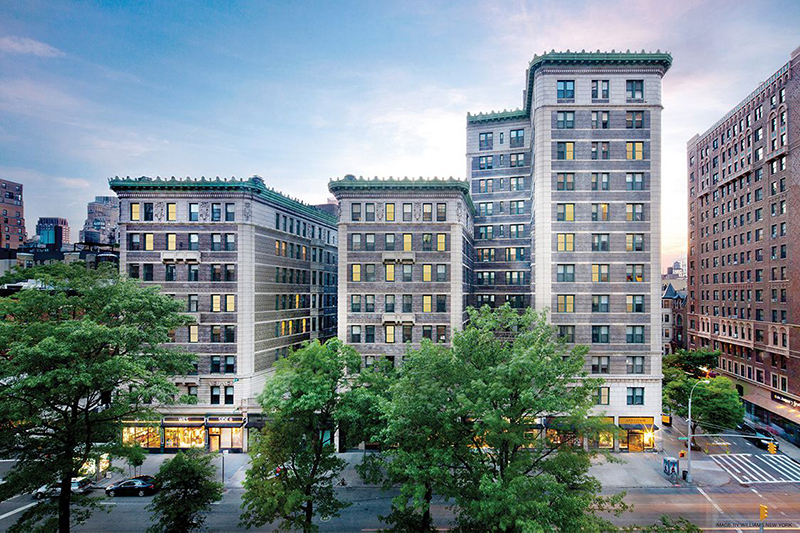 Manhattan, NY Developed by HFZ Capital Group, The Astor is turn-of-the-century condo residence that combines classic, Gilded Age architectural design with modern finishes and amenities - the old world meets the new. The Astor was commissioned by William Waldorf Astor in 1901, updated with the addition of a third tower in 1914, and recently restored by design firm, Pembroke & Ives. The pre-war details remain, from the decorative cornice that crowns the exterior to the intricate mosaic and marble details that lend the lobby its elegant and inviting character. The façade by Clinton & Russell features grey brick, a limestone base and hand-carved Juliet balconies, with a copper cornice. The Astor is a three-building complex that features 98 units and 12 stories. It is situated on Broadway between 75th and 76th Sts. Douglas Elliman Development Marketing is currently handling the sales and marketing of the property. Additional team members include: BP Architects, WSP Mechanical Engineers and Edwards & Zuck/Stantec.